Ben Cherington would be smart to bolster the club’s bullpen depth this winter—and he has a number of options with which to do so. The Red Sox face a busy offseason that is about to kick into gear with the annual GM meetings taking place in Phoenix this week. Ben Cherington has plenty of work ahead of him as Boston’s GM looks to bolster a roster he expects to contend for a playoff spot next season. The club’s search for starting pitching will attract the most attention in the coming weeks along with whatever left-handed bat the Red Sox decide to pursue, whether that be at third base or elsewhere. In addition, Cherington will have to add some depth to the team’s bullpen. Although the need for relief pitching might strike some as trivial when compared with Cherington’s other tasks this winter, the success of the Royals and Orioles in 2014 serves as a good reminder of how influential a stingy set of relievers can be. After all, without Koji Uehara and Junichi Tazawa coming through in a number of critical spots during the 2013 postseason, Boston wouldn’t have been able to raise its third championship banner in a decade. The Red Sox have already gotten a head start on this bullpen rebuilding process with the re-signing of Uehara to a two-year, $18 million deal. Even factoring in his late-season struggles, Uehara has been tremendous since donning a Red Sox uniform, posting a 1.75 ERA and striking out more than 10 times as many batters as he walked the past two seasons. Still, Uehara’s workload over that time span can’t be ignored—his 150 appearances (including playoffs) since the start of 2013 are tied for the fifth-most of any pitcher in baseball, and he turns 40 next April. The same goes for Tazawa, who has made more appearances (155) than any relief pitcher but Trevor Rosenthal over the past two years. As a result, Cherington would be smart to bring in another reliable reliever or two this winter. Edward Mujica did rebound from a woeful start in 2014 to finish with a 2.82 ERA, 37 strikeouts and 10 walks in the season’s final five months, but is he really the guy the Red Sox want to turn to in high-leverage spots if either Uehara or Tazawa goes down? 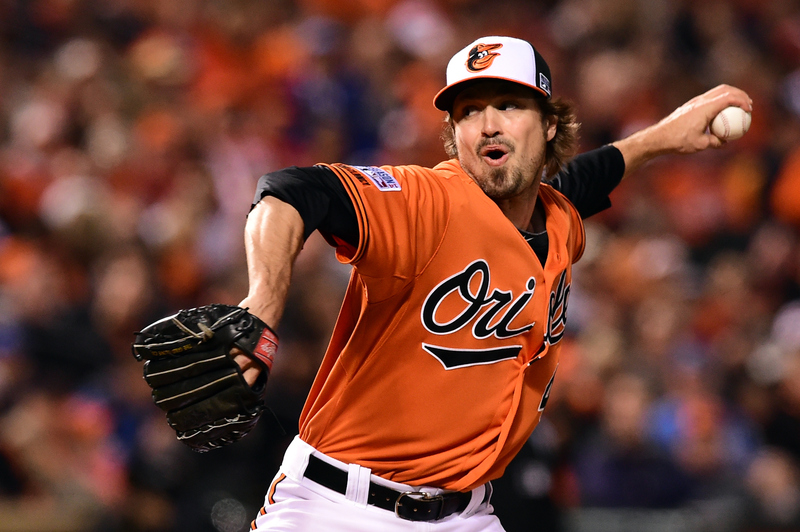 Free agent Andrew Miller is an obvious target, and Boston would surely love to bring him back. Yet the battle to sign Miller will be frantic, likely heading in a more expensive direction than the Red Sox will want to go. The same can probably said of other top free-agent relievers like David Robertson and Luke Gregerson. Spending loads of money on relief pitching isn’t exactly the safest or most cost-efficient route anyhow. Other solid options exist such as Pat Neshek and Casey Janssen (not to mention Rafael Soriano or Francisco Rodriguez, though they could end up being too pricey as well). Both Neshek and Janssen have been dependable for multiple seasons now, and both have experience pitching in high-leverage situations. Either would slot in well next to Uehara and Tazawa in the back of the bullpen, allowing Mujica to move into more of a middle-relief role. This would also enable the Red Sox to fill out the rest of their bullpen from within the organization, or bring back Burke Badenhop (who was quietly very good for Boston in 2014) if there is mutual interest on both sides. Tommy Layne pitched well as a lefty specialist down the stretch, and Alex Wilson and Drake Britton have both found success during their past major league stints. Steven Wright, too, could be valuable in a long-relief role. And we haven’t even gotten to the likes of Brandon Workman, Anthony Ranaudo and Matt Barnes, all of whom could turn into valuable relief pieces if given the opportunity. Workman especially seems likely to slot into the bullpen full-time in 2015. All in all, the Red Sox have plenty of avenues both in-house and on the free-agent market to turn to in rebuilding their relief corps. They would be smart to bring in someone (like Janssen or Neshek) with a solid track record to aid Uehara and Tazawa in the later innings. Re-signing Miller, or going for Robertson or Gregerson wouldn’t hurt, of course, but they do need to spend money elsewhere this offseason. Don’t be surprised, then, to see Boston take a flyer on a free agent like Jason Motte or Luke Hochevar, who are both coming off arm injuries, but have excelled in prior seasons. Like he has in the past, Cherington could nab a late-innings reliever via trade too, though the memories of Andrew Bailey and Joel Hanrahan don’t incite much reason for optimism on that front. The Red Sox don’t need a historically dominant set of relievers like Kansas City’s to return to postseason prominence. But they shouldn’t ignore the need to add depth to the bullpen either. Cherington can take any route he likes to bring in some insurance behind Uehara and Tazawa–as long as the Red Sox have somewhere to turn if either misses time next season.